Every family has traditions, and in most cases, you can’t shake things up. Ever. For instance, Thanksgiving. You are either a plain sweet potato or a mini marshmallows topped sweet potato family. There is no middle ground. For years, my family was divided. Depending on who hosted Thanksgiving dinner, we either were served gooey, sweet marshmallow sweet potato casserole….or a sweet potato casserole with a little butter and brown sugar. Those were the only choices. Until now. Now I host Thanksgiving myself, and it’s my turn to determine how I want to serve my sweet potatoes. And while I love marshmallow topped, and brown sugar…today’s streusel topped sweet potato casserole are hands down, my favorite. If you’ve ever been to a Ruth’s Chris restaurant you’ll recognize these potatoes! Sweet and crunchy, with a little salt from the pecans. So perfect. And you can enjoy the private dining in your own home! One of the best things about these sweet potatoes is that you can have them prepped ahead of time so that you only need to bake them on Thanksgiving. Start by cooking your sweet potatoes. You can bake them in the oven (my preferred method), at 400 degrees F for an hour. Or you can peel and boil potatoes in a large pot of water (for about half an hour). The third way would be to poke them with a fork and microwave the potatoes for about 15-20 minutes. Once your potatoes are cooked, combine them in a large bowl with the sugar, salt, vanilla extract, eggs, and melted butter. Using a mixer, beat them for about 4-5 minutes until fluffy and smooth. Pour this into a 2 qt casserole dish and bake in a 375 degree oven for about 25-30 minutes. While the potatoes are baking, make your streusel topping. Combine brown sugar with flour, chopped pecans, and melted butter. Stir together with a fork and set aside. 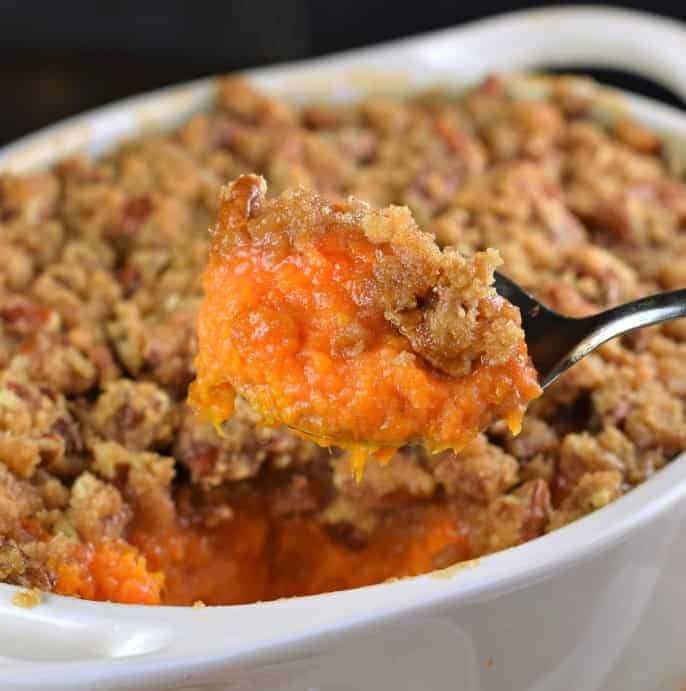 Once your sweet potatoes have cooked, top with streusel (and extra pecans on top if desired) and return to the oven to bake an additional 10-15 minutes. Serve hot. There is nothing worse than trying to figure out what goes in the oven, and when. Fortunately, this sweet potato casserole gets it’s “BEST” rating because of the flexibility. First, you could bake as written above, if oven space is not an issue. Or, you could bake the 25 minutes, top with the streusel and refrigerate until the next day. Then you would only need to pop it back into the oven for about 20 minutes. You could also bake it as directed for entirety and allow to sit on the table for about 30 minutes (covered with foil to keep hot). This gives you time and space to warm up some dinner rolls and get the rest of your food heated and ready. Looking for a Classic Stuffing Recipe? 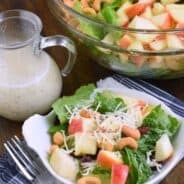 My dressing is made with day old bread, vegetables, apples and mushrooms! Easy to make ahead of time too! Looking for something new to serve with Grandma’s green bean casserole this year? Check out this great collection of Thanksgiving side dishes from around the web! Be inspired! While you’re here, how about we take a peek into my dessert archives? I’ve got some of the best Thanksgiving treats you could ever want! Easy to assemble Turkey Rice Krispie Treats decorated for Thanksgiving! Loved by kids and adults! 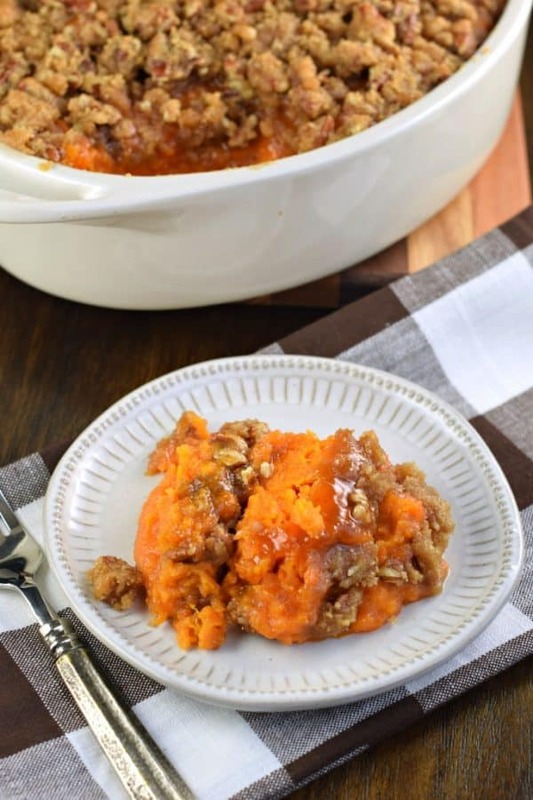 The Best Sweet Potato Casserole recipe with a crunchy pecan streusel topping! Cook sweet potatoes in desired manner, until soft. See notes. Preheat oven to 375 degrees F. Spray a 2 qt baking dish with nonstick spray (I use coconut oil spray). Set aside. In a large bowl, combine cooked sweet potatoes, granulated sugar, salt, vanilla, eggs and melted butter. Beat with an electric mixer for about 4-5 minutes, until fluffy and smooth. Pour into prepared dish. Bake for 25 minutes. While baking, prepare streusel topping by combining brown sugar, flour, pecans, and melted butter in a small bowl. Mix with a fork and set aside. 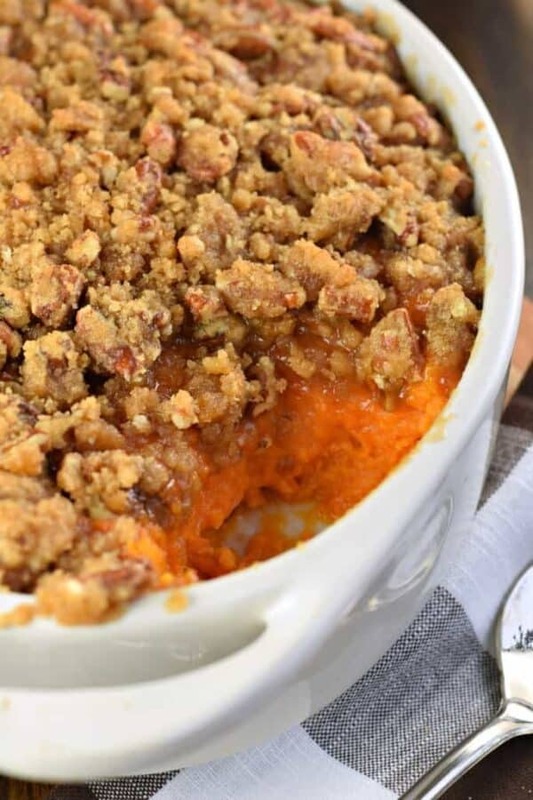 Sprinkle the baked sweet potato mixture with streusel and return to oven for about 10-15 minutes until crumble is lightly browned. Serve immediately or cover with foil and serve in 30 minutes. For the sweet potatoes you can cook them your favorite way. Bake in a 400 degree F oven for one hour. Or pierce with fork and microwave for 15 minutes (or more depending on size). Or peel and boil them for 30 minutes. My favorite side dish for the holidays and this one is just the sweetest style ever, love it! 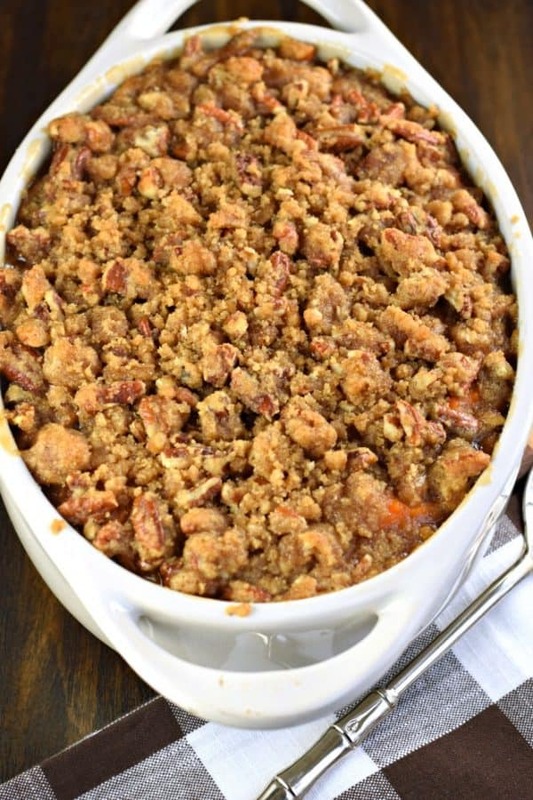 I love the crunchy pecan streusel topping in this casserole! So delicious! 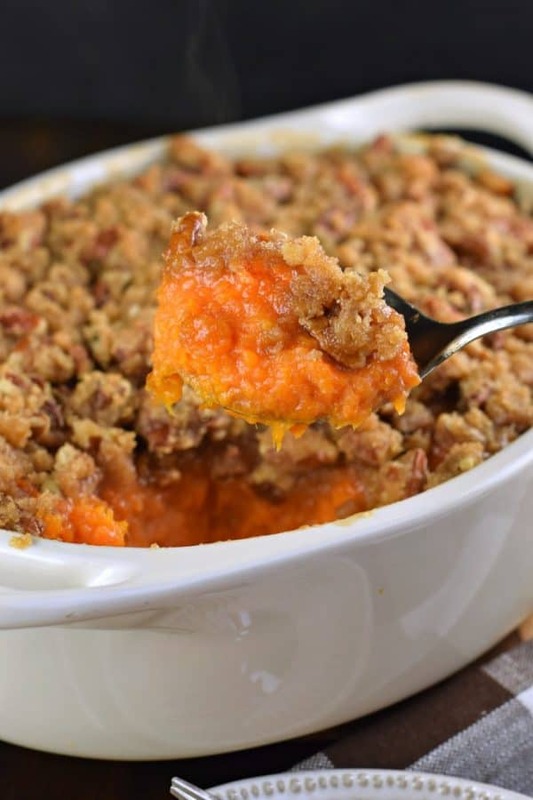 This is sweet potato casserole perfection – yummy! I made the recipe to test it out prior to making it for Thanksgiving party. Everyone enjoyed them. Will make again! Sweet potato casserole is my favorite food of everything on the table. My mother had several restaurants as I grew up. She was well known for her sweet potato souffle as she called it. She also added crushed pineapple and coconut to her potatoes. She did the pecans, butter, and flour on top. Oh my, it was dessert to me that I would always eat last. No marshmallows for us unless it is roasted on a stick or just plain. Haha!! I have a huge love for sweet potato casserole and this one is amazing. Love it. Really, the best Sweet potatoes! We always have them on our Thanksgiving table. If I bake them for the hour do they need too be peeled first? I always go right for the sweet potato casserole and stuffing on Thanksgiving day. That thick layer of streusel is downright amazing!!! You don’t state how much sugar, brown sugar or vanilla to use. Can you give me the measurements please? I found it. That was the grocery list. Lol! Help! Can’t find amounts of ingredients either. No milk? Other similar recipes have milk in the potatoes. 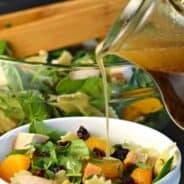 This recipe is identical to the Senator Russell sweet potato recipe from the ‘Motherhood and Apple Pie’ cookbook. I have been making this for 20 years. 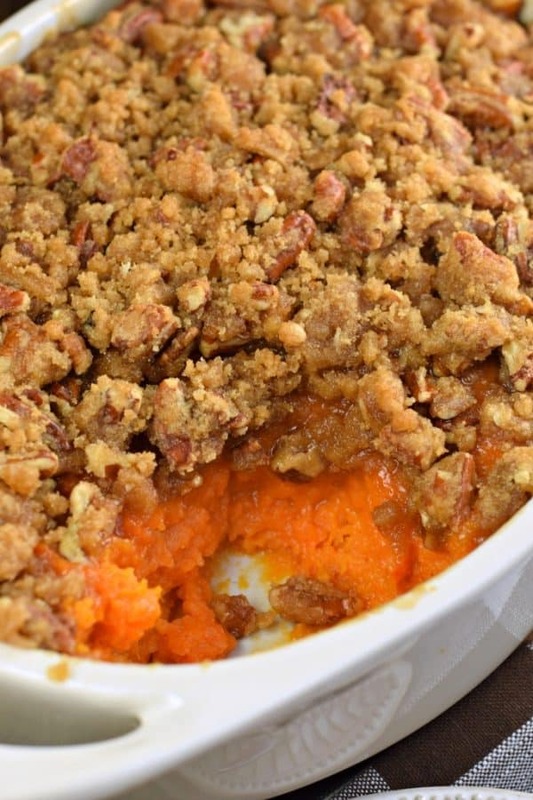 This is sweet potato casserole perfections!! everyone loved them! I LOVE a good sweet potato casserole recipe! We love this casserole so much! I could eat this whole thing. Sooooooo good! When I was little I used to just eat the topping part but now I’ve come to enjoy the whole dish. It’s a must have for the holidays! This casserole was so yummy, thanks!